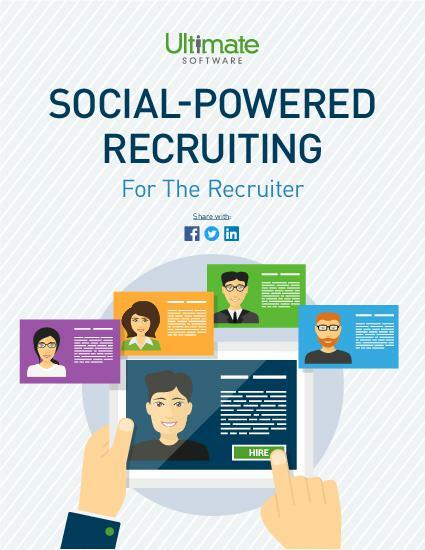 Leverage social media to recruit top talent while positively impacting your employer brand. Social media is nearly unavoidable in today’s society. It has had an impact on nearly everything, and recruiting new talent has been no exception. Industry leaders have begun to adapt their recruiting solutions to embrace the potential of social media for an incoming generation of candidates. With nearly two billion accounts across all social media platform, there is a wealth of data just waiting to be tapped into. Recruiters can now gain more in-depth insights into candidates’ experiences and personalities, while actively engaging them with your brand. Learn how your organization can make better hires through social media powered recruiting by leveraging gamification, persistence, and mobile features through recruiting solutions. Please fill out this brief form to access your recruiting guide to social media.